Check out the results from a massive weekend of Stand Up Paddle racing at the Southern Cross SUP Festival, held at Port Stephens (Australia). 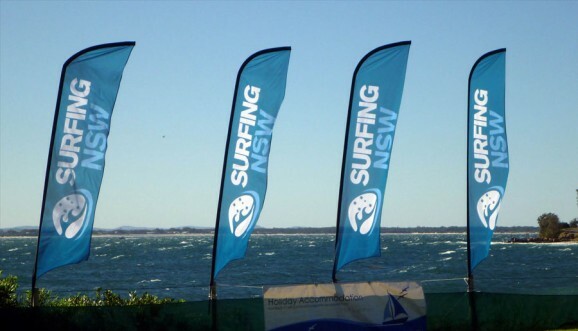 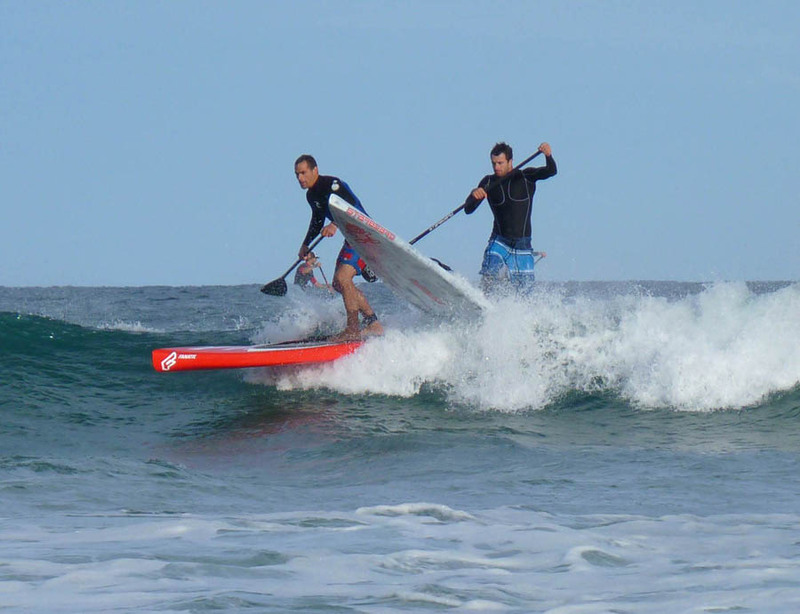 The event was presented by d’Albora Marinas, organised by Surfing NSW and acted as the New South Wales State SUP Titles. 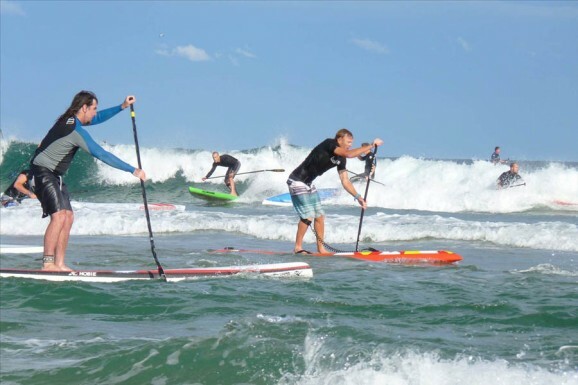 Winners from this weekend’s races qualified for the Australian National SUP Titles in August, which then decides who gets a spot in Team Australia for the 2013 ISA SUP World Champs. 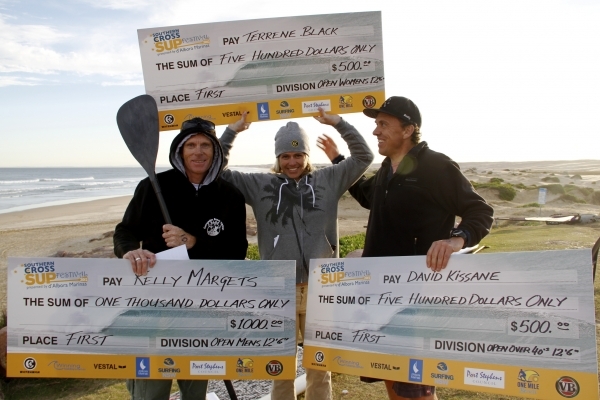 The big winner this weekend was Starboard’s Beau O’Brian, who took 2nd in the Battle of the Paddle-style Surf Race, behind Kelly Margetts, before claiming a hat-trick of victories in the Elite Downwinder, Technical Short Course and Dash For Cash races. 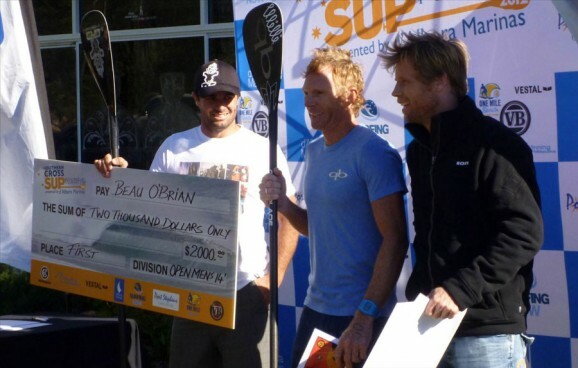 O’Brian recently signed with Team Starboard and used the Starboard Coastal Runner 14′ to win the downwinder and the new Starboard Ace 14′ to claim his other two wins (and pocket $2,500 in prize money). 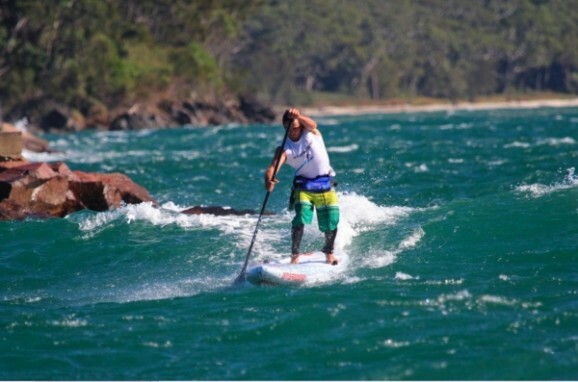 “This is the best downwinder I’ve ever done. I just got back from Hawaii where conditions were pretty good, but out here it really suited the 14 foot boards perfectly. 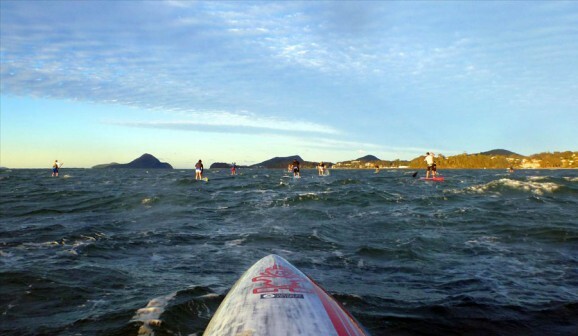 Being a downwinder, it could have been anyone’s race today. 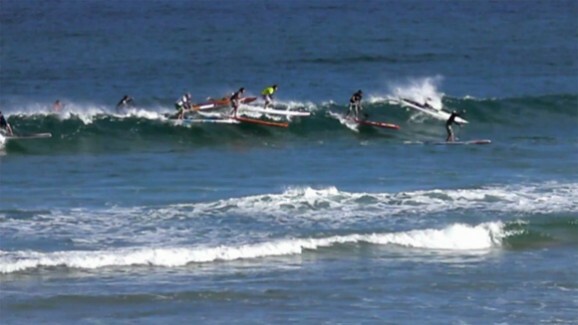 I saw the boys going a bit wide but I thought I’d take the inside line after I saw it sucking pretty hard off the point, which seemed to work out pretty well for me. In total there was $8,000 cash and plenty of prizes on offer across the weekend. 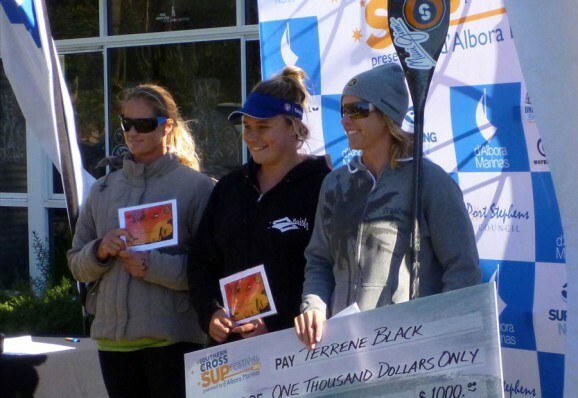 On the women’s side, Alison Fullagar, Molly Walker and Terrene Black all shared in the money. 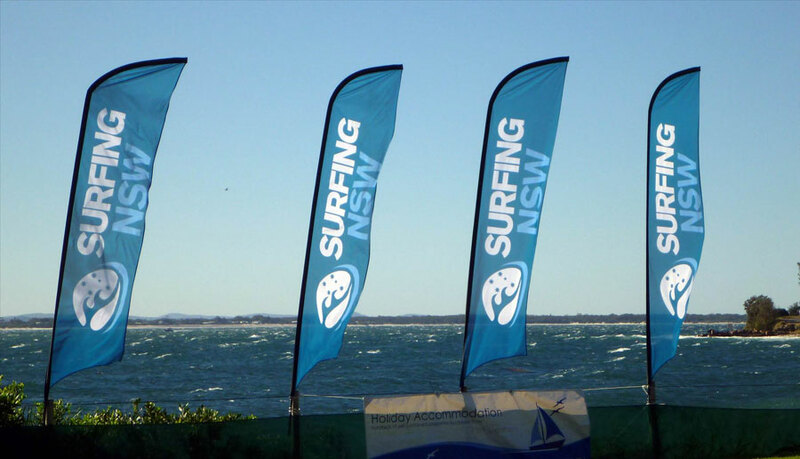 Conditions for the downwinder were all time, with 35+ knot winds, while the overall event was hailed by all competitors as a big success.